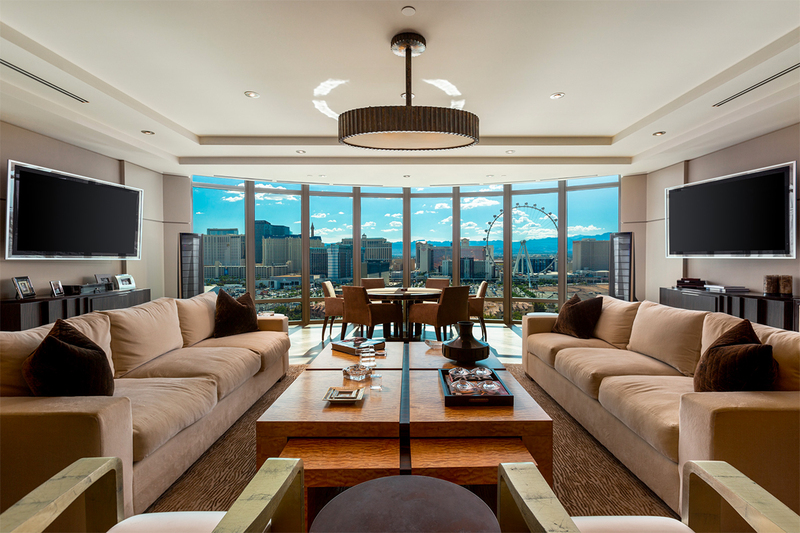 Park Towers is the very definition of high-rise luxury, attracting not only the wealthy and connected, but the powerful and influential — those who play a role in shaping the modern image of Las Vegas. 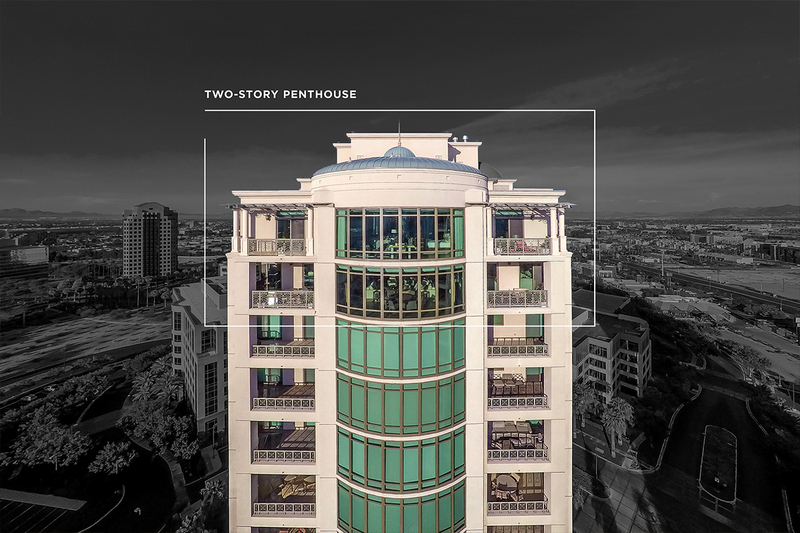 Currently up for sale by the former owner of an iconic casino and resort, Unit 1902 is a rare opportunity to experience the best of what this incredible community has to offer. 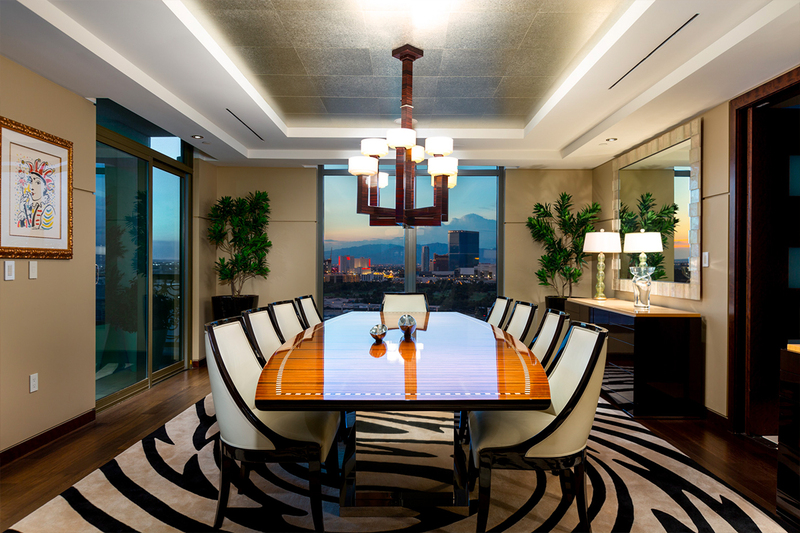 At 6,800 square feet, the trophy penthouse is spacious and stylish, taking up the top two levels of the north tower, beginning on the 19th floor. Masculine touches of dark wood and stainless steel are balanced by custom glass artwork by Leslie Rankin and elegant overhead light fixtures. The layout, designed by Nicole Roberts Interiors with work by Futures Building Company, is an indulgent yet tranquil escape, where both entertainment and living spaces take equal advantage of functionality, new technology and high-end custom furnishings. Pocket doors disappear into the walls, revealing an open floor plan full of classic Vegas style. The views are magnificent, offering an unobstructed front-row look at the High Roller observation wheel and other commanding Strip landmarks. The sights are savored through immersive curved floor-to-ceiling windows and from four spacious outdoor terraces. Two additional balconies offer glimpses of planes landing at the airport and other Vegas sights throughout the valley. At the end of a long day, automated blackout shades are lowered to keep the excitement of the city at a comfortable distance. 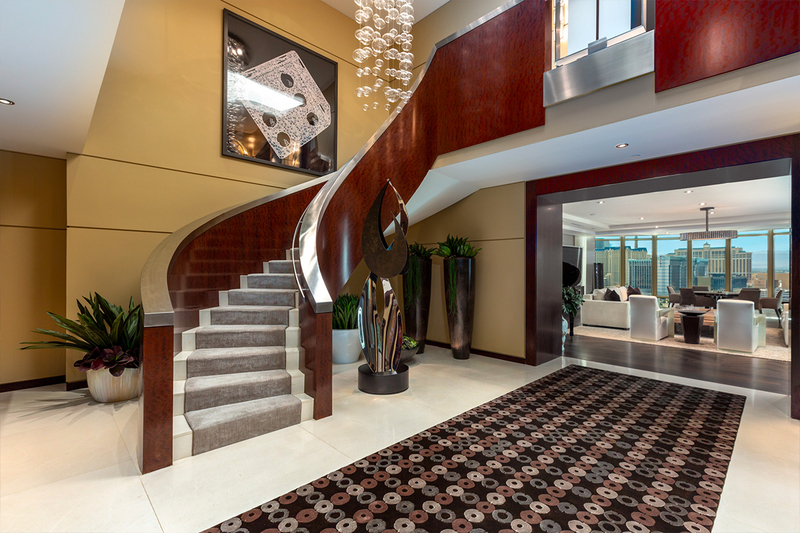 The tower elevator leads directly to the front door, which opens to a grand foyer, highlighted by a twisting half-circle staircase and the expanded depth and dimension of a second-floor interior balcony. A towering skylight illuminates the bold decor, which is only enhanced by recessed lighting that shines from coffered ceilings throughout the residence. Hundreds of thousands were spent on upgrading the second-level master’s quarters alone. Wake up to incredible views and choose an outfit from a lavish custom walk-in closet — with built-in wood and glass furnishings — renovated from a spare bathroom. Feel refreshed with a steam shower in the master bath and unwind in the evening with a cocktail from the private bar. Throughout every inch of the home, there is a deliberate balance of work and play. An office was designed with built-in bookshelves, adjustable pull-out televisions and a digital stock ticker display. When it’s time to put business aside, relax in the media room or watch a feature film from a custom couch or recliner seats in the projection-screen movie theater. 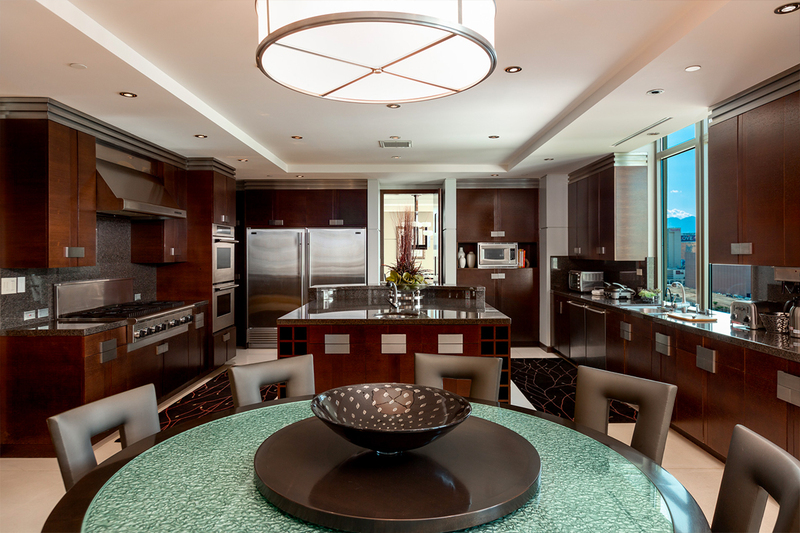 The gourmet kitchen is fully equipped with high-end appliances by Sub-Zero and Thermador, while an adjoining built-in wet bar has its own counter for serving cocktails and wine to guests in the living area. Other highlights include two fireplaces (in the master bedroom and balcony), an upgraded air conditioning system, extra storage in a private hallway and Crestron smart automation to control everything from curtains and lights to the entertainment system. A secluded butler’s quarters has its own private entrance. While most units have two parking spaces, this exclusive penthouse has three — all close to the elevator. Power, water and gas are conveniently billed by the HOA, stressing the convenience of the worry-free lifestyle found at Park Towers – a place where the power is in your hands.